Maximize is the ultimate how-to book for pastors and church leaders who long for their churches to be fully resourced to carry out ministry initiatives without financial strain. Pastor Nelson Searcy provides an innovative, step-by-step plan for turning first-time givers into extravagant stewards of God's resources. Shining a light on the often taboo subject of money, Maximize will explore what causes someone to give for the first time and what leaders can do to systemize and maximize these gifts while growing strong disciples. Readers will learn how to -cultivate first-time givers -motivate people to tithe -develop an ongoing stewardship system -follow up with givers the right way -develop multiple giving options -shepherd the five types of givers in the church -educate people to grow in the grace of giving. Stewardship is an essential part of discipleship. This revolutionary yet biblically based guide will chase the money discussion out of the darkness and bring it the attention it deserves. 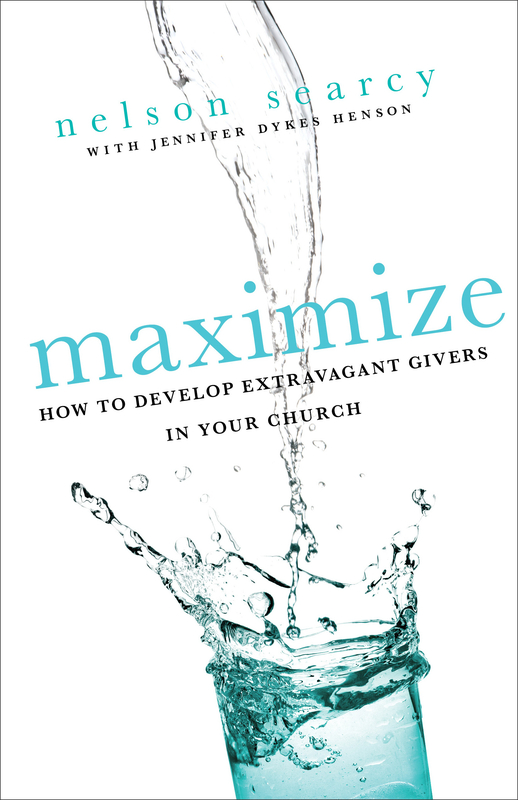 Every pastor needs a copy of Maximize! Maximize by Nelson Searcy was published by Baker in November 2010 and is our 25800th best seller. The ISBN for Maximize is 9780801072185. Be the first to review Maximize! Got a question? No problem! Just click here to ask us about Maximize.